which was a symbol particularly associated with the French monarchy. The Prieure de Sion, translated from French as Priory of Sion, is a name given to multiple groups, both real and fictitious. The most notorious is a fringe fraternal organization, founded and dissolved in France in 1956 by Pierre Plantard. In the 1960s, Plantard created a fictitious history for that organization, describing it as a secret society founded in the Kingdom of Jerusalem in 1099, which serves the interests of the Merovingian dynasty and its alleged bloodlines. This myth was expanded upon and popularized by the 1982 controversial book The Holy Blood and the Holy Grail, and later claimed as factual in the preface of the 2003 conspiracy fiction novel The Da Vinci Code. After becoming a cause celebre from the late 1960s to the 1980s, the mythical Priory of Sion was exposed as a ludibrium created by Plantard as a framework for his false pretention to the French throne. Evidence presented in support of its historical existence and activities before 1956 was discovered to have been forged and then planted in various locations around France by Plantard and his accomplices. Nevertheless, many conspiracy theorists persist in believing that the Priory of Sion is an age-old cabal that conceals a subversive secret. The Priory of Sion myth has been exhaustively debunked by journalists and scholars as one of the great hoaxes of the 20th century. Some skeptics have expressed concern that the proliferation and popularity of books, websites and films inspired by this hoax have contributed to the problem of conspiracy theories, pseudohistory and other confusions becoming more mainstream. Others are troubled by the romantic reactionary ideology unwittingly promoted in these works. 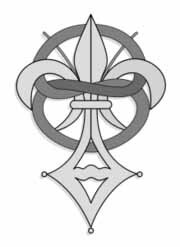 The Priory of Sion was a fraternal organization founded in the town of Annemasse in eastern France in 1956. As with all associations, French law required that the Priory of Sion be registered with the government; the registration took place at the subprefecture of Saint-Julien-en-Genevois on May 7, 1956 and was noted on July 20, 1956 in the Journal Officiel de la Republique Fran�aise. The founders and signatories inscribed with their real names and aliases were Pierre Plantard, also known as "Chyren", and Andr� Bonhomme, also known as "Stanis Bellas". Andr� Bonhomme was the President while Pierre Plantard was the Secretary General. The registration documents also included the names of Jean Deleaval as the Vice-President and Armand Defago as the Treasurer. The offices of the Priory of Sion and its journal Circuit were located at Plantard's apartment. The choice of the name "Sion" was based on a popular local feature, a hill south of Annemasse in France, known as Mont Sion, where the founders intended to establish a retreat center. The accompanying title to the name was "Chevalerie d'Institutions et R�gles Catholiques d'Union Ind�pendante et Traditionaliste": this subtitle forms the acronym CIRCUIT and translates in English as "Knighthood of Catholic Rule and Institution and of Independent Traditionalist Union". The statutes of the Priory of Sion indicate its purpose was to allow and encourage members to engage in studies and mutual aid. The articles of the association expressed the goal of creating a Traditionalist Catholic chivalric order. Article 7 of the statutes of the Priory of Sion stated that its members were expected "to carry out good deeds, to help the Roman Catholic Church, teach the truth, defend the weak and the oppressed". Towards the end of 1956 the association had planned to forge partnerships with the local Catholic Church of the area which would have involved a school bus service run by both the Priory of Sion and the church of Saint-Joseph in Annemasse. The bulk of the activities of the Priory of Sion, however, bore no resemblance to the objectives as outlined in its statutes: Circuit, the official journal of the Priory of Sion, was indicated as a news bulletin of an "organization for the defence of the rights and the freedom of affordable housing" rather than for the promotion of chivalry-inspired charitable work. The first issue of the journal is dated May 27, 1956, and, in total, 12 issues appeared. Some of the articles took a political position in the local council elections. Others criticized and even attacked real-estate developers of Annemasse. The formally registered association was dissolved some time after October 1956 but intermittently revived for different reasons by Plantard between 1961 and 1993, though in name and on paper only. The Priory of Sion is considered dormant by the subprefecture because it has indicated no activities since 1956. According to French law, subsequent references to the Priory bear no legal relation to that of 1956 and no one, other than the original signatories, is entitled to use its name in an official capacity. Andr� Bonhomme played no part in the association after 1956. He officially resigned in 1973 when he heard that Plantard was linking his name with the association. In light of Plantard's death in 2000, there is no one who is currently alive who has official permission to use the name. Primarily motivated by delusions of grandeur, a romantic reactionary ideology, and the prospect of financial gain, Plantard set out to have the Priory of Sion perceived as a prestigious esoteric Christian chivalric order, whose members would be people of influence in the fields of finance, politics and philosophy, devoted to installing the "Grand Monarch", prophesied by Nostradamus, on the throne of France. Plantard's choice of the pseudonym "Chyren" was a reference to "Chyren Selin", Nostradamus's anagram for the name for this Great King. 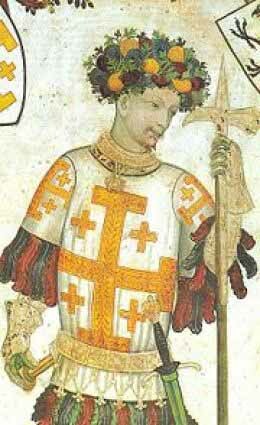 Between 1961 and 1984, Plantard contrived a mythical pedigree for the Priory of Sion claiming that it was the offshoot of a real Roman Catholic religious order housed in the Abbey of Sion, which had been founded in the Kingdom of Jerusalem during the First Crusade in 1099 and later absorbed by the Jesuits in 1617. The mistake is often made that this Abbey of Sion was a Priory of Sion, but there is a difference between an abbey and a priory.Calling his original 1956 group "Priory of Sion" presumably gave Plantard the later idea to claim that his organization had been historically founded by crusading knight Godfrey of Bouillon on Mount Zion near Jerusalem during the Middle Ages. Furthermore, Plantard was inspired by a 1960 magazine Les Cahiers de l'Histoire to center his personal genealogical claims, as found in the "Priory of Sion documents", around the Merovingian king Dagobert II, who had been assassinated in the 7th century. He also adopted "Et in Arcadia ego ...", a slightly altered version of a Latin phrase that most famously appears as the title of two paintings by Nicolas Poussin, as the motto of both his family and the Priory of Sion, because the tomb which appears in these paintings resembled one in the Les Pontils area near Rennes-le-Ch�teau. This tomb would become a symbol for his dynastic claims as the last legacy of the Merovingians on the territory of Raz�s, left to remind the select few who have been initiated into these mysteries that the "lost king", Dagobert II, would figuratively come back in the form of a hereditary pretender. To give credibility to the fabricated lineage and pedigree, Plantard and his friend, Philippe de Ch�risey, needed to create "independent evidence". So during the 1960s, they created and deposited a series of false documents, the so-called Dossiers Secrets d'Henri Lobineau ("Secret Files of Henri Lobineau"), at the Biblioth�que nationale de France in Paris. During the same decade, Plantard commissioned de Ch�risey to forge a series of medieval parchments. These documents contained encrypted messages that referred to the Priory of Sion. They adapted, and used to their advantage, the earlier false claims put forward by No�l Corbu that a Catholic priest named B�renger Sauni�re had supposedly discovered ancient parchments inside a pillar while renovating his church in Rennes-le-Ch�teau in 1891. Inspired by the popularity of media reports and books in France about the discovery of the Dead Sea scrolls in the West Bank, they hoped this same theme would attract attention to their parchments. Their version of the parchments was intended to prove Plantard's claims about the Priory of Sion being a medieval society that was the source of the "underground stream" of esotericism in Europe. Plantard then enlisted the aid of author G�rard de S�de to write a book based on his unpublished manuscript and forged parchments, alleging that Sauni�re had discovered a link to a hidden treasure. The 1967 book L'or de Rennes, ou La vie insolite de B�renger Sauni�re, cur� de Rennes-le-Ch�teau ("The Gold of Rennes, or The Strange Life of B�renger Sauni�re, Priest of Rennes-le-Ch�teau"), which was later published in paperback under the title Le Tr�sor Maudit de Rennes-le-Ch�teau ("The Accursed Treasure of Rennes-le-Ch�teau"), became a popular read in France. It included copies of the found documents (the originals were of course never produced), though it did not provide translations. One of the Latin texts in the documents was copied from the Novum Testamentum, an attempted restoration of the Vulgate by John Wordsworth and Henry White. The other text was copied from the Codex Bezae. Based on the wording used, the versions of the Latin texts found in the parchments can be shown to have been copied from books first published in 1889 and 1895, which is problematic considering that de S�de's book was trying to make a case that these documents were centuries old. In 1969, English actor and science-fiction scriptwriter Henry Lincoln became intrigued after reading Le Tr�sor Maudit. He discovered one of the encrypted messages, which read "� Dagobert II Roi et � Sion est ce tr�sor, et il est l� mort" ("To Dagobert II, King, and to Sion belongs this treasure and he is there dead"). This was an allusion to the resting place of a cult hero seen as a buried treasure belonging to both Merovingian king Dagobert II and the Priory of Sion. Lincoln expanded on the conspiracy theories, writing his own books on the subject, and creating a series of BBC Two documentaries in the 1970s about the mysteries of the Rennes-le-Ch�teau area. In response to a tip from G�rard de S�de, Lincoln claims he was also the one who discovered the Dossiers Secrets, a series of planted genealogies which appeared to further confirm the link with the extinct Merovingian bloodline. The documents claimed that the Priory of Sion and the Knights Templar were two fronts of one unified organization with the same leadership until 1188.
Letters in existence dating from the 1960s written by Plantard, de Ch�risey and de S�de to each other confirm that the three were engaging in an out-and-out hoax. The letters describe schemes to combat criticisms of their various allegations and ways they would make up new allegations to try to keep the hoax alive. These letters (totalling over 100) are in the possession of French researcher Jean-Luc Chaumeil, who has also retained the original envelopes. Jean-Luc Chaumeil was part of the Priory of Sion hoax ring during the 1970s, and wrote books and articles about Plantard and the Priory of Sion before leaving it during the late 1970s and exposing Plantard's past in French books. A letter later discovered at the subprefecture of Saint-Julien-en-Genevois also indicated that Plantard had a criminal conviction as a con artist. The Priory of Zion, is said to be the cabal behind many of the events that occurred at Rennes-le-Chateau. Its earliest roots are alleged to be in some sort of Hermetic or Gnostic society led by a man named Ormus. 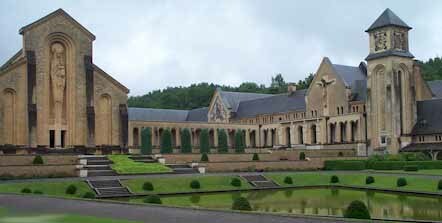 In 1132 a group of monks founded Orval Abbey in France. These monks are said to have formed the basis for the Order de Sion lead by Godfrey of Bouillon. The Cutting of the Elm was a diplomatic altercation between the Kings of France and England in 1188, during which an elm tree near Gisors in Normandy was felled. The event has been used as a metaphor created by Pierre Plantard and other pseudo-historical theories. In this context, the Cutting of the Elm was portrayed as marking the split between the Knights Templar and the Priory of Sion in 1188.